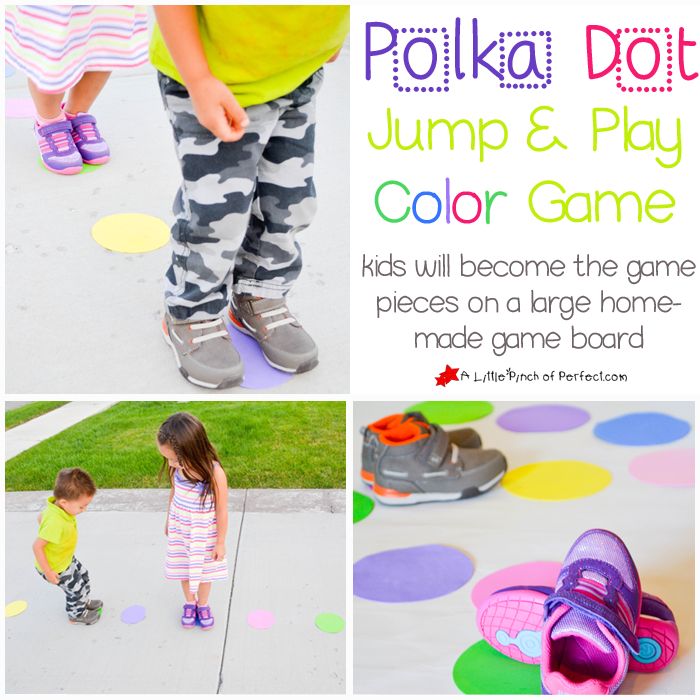 Inspired by our new Surprize shoes, we came up with a cool game that will get kids jumping and movin’ and even learning their colors. 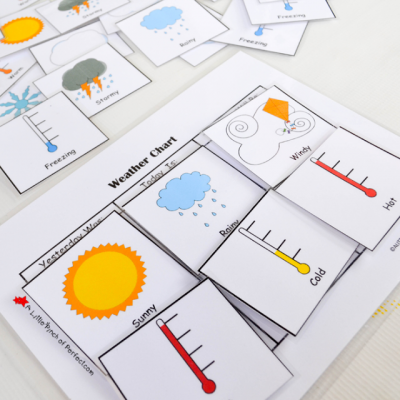 While playing, the kids will become the game pieces on a large scale homemade game board. You only need a couple of supplies and mere seconds to set this low-prep game up. 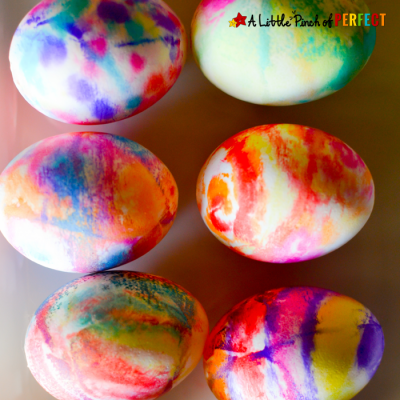 So let’s start playing, inside or outside–it’s going to be a fun time! So as I mentioned earlier, our new shoes inspired this activity. 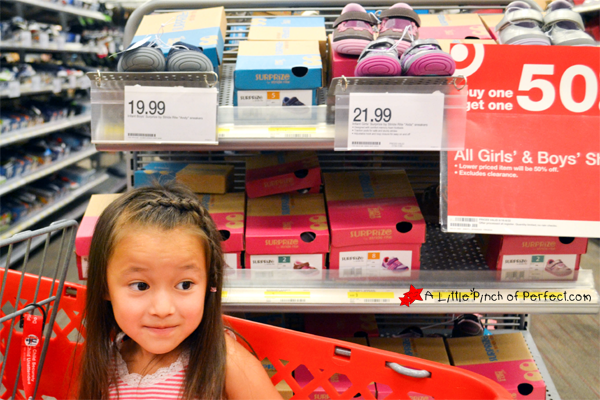 We recently headed to Target to get the kids new Stride Rite shoes (only available at Target and Target.com). We found the Stride Rite display at the end of the isle and tried on every pair we found in their size. This is a girl who loves shoe shopping at Target! This girls mom loves the 50% off tag on Stride Rite shoes! Little Tiger fell in love with some cute purple and pink shoes that will match pretty much everything in her closet and Little Dragon chose some “awesome” boots that fit his little feet. As soon as we got home the kids were in their new shoes and hopping around the house. 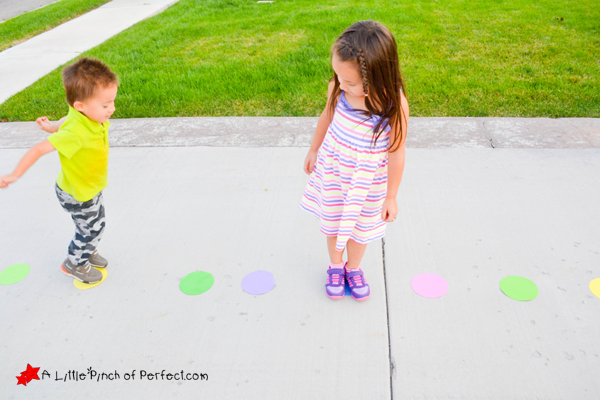 This is when I grabbed some foam circles and corralled the kids outside to play games and test out their new shoes. After testing them out I can tell you they are nice and flexible allowing my kids to move freely while still protecting their feet. They look super comfortable, durable and fit great! 1. 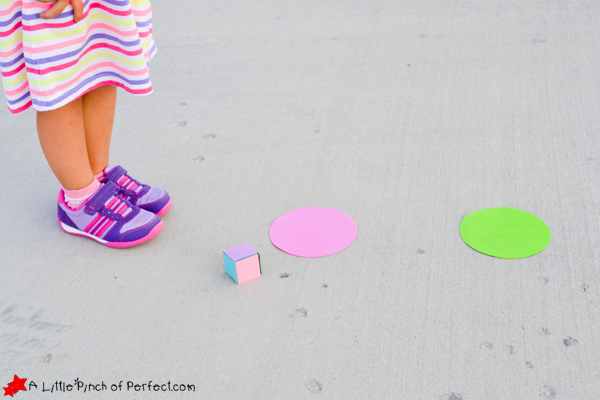 Cut out one square piece of paper matching each color of foam circles and tape it to the dice. 2. 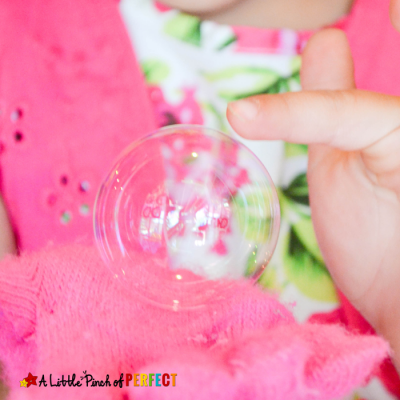 Spread out the foam circles, close enough together that kids can hop from one circle to the next. 3. 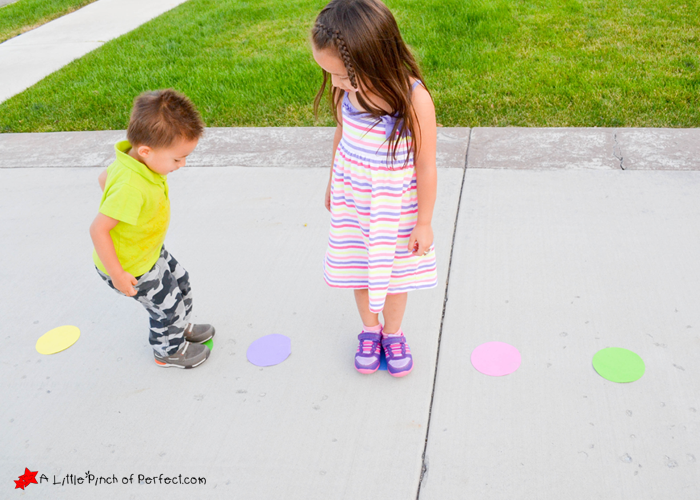 Have child roll dice and hop on the circles stopping on the first circle that matches the dice (dice landed on yellow, child hops until they reach a yellow circle and stands on it until their next turn). 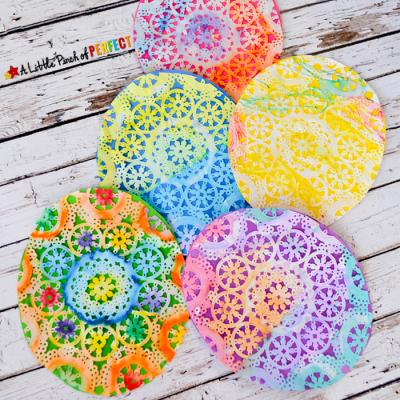 You can have kids say the name of each color as they jump on the circles to practice their colors. Next child takes turn. the game ends when children reach the end. 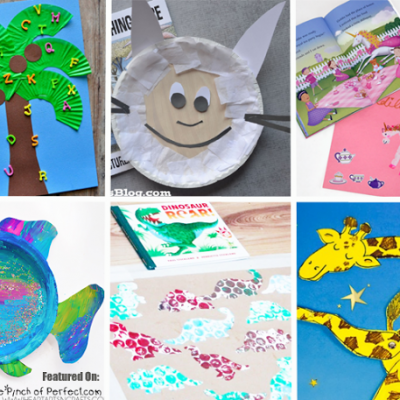 Play again with different game boards like shapes, zig-sags, or swirls.